Philip Milton Roth (March 19, 1933 – May 22, 2018) was an American novelist from Newark, New Jersey. His books include Goodbye, Columbus and The Human Stain. Roth has won the Pulitzer Prize for Fiction, the National Book Award, and several other awards. He studied at the University of Chicago. Roth died at a Manhattan hospital of congestive heart failure on May 22, 2018 at the age of 85. 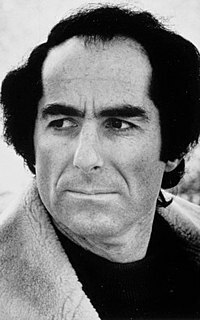 ↑ "Philip Roth, Towering Novelist Who Explored Lust, Jewish Life and America, Dies at 85". The New York Times. May 22, 2018. Retrieved May 22, 2018. This page was last changed on 23 May 2018, at 04:27.